As part of the statutory duty on schools to promote pupils’ wellbeing, schools have a clear role to play in preventing drug misuse as part of their pastoral responsibilities. To support this, the Government’s Drug Strategy 2010 ensures that school staff have the information, advice and power to provide accurate information on drugs and alcohol through education and targeted information. In light of this, EDAS (Essential Drug & Alcohol Services) have created a resource for schools that will enable them to provide drug education lessons to all year groups (7-11). 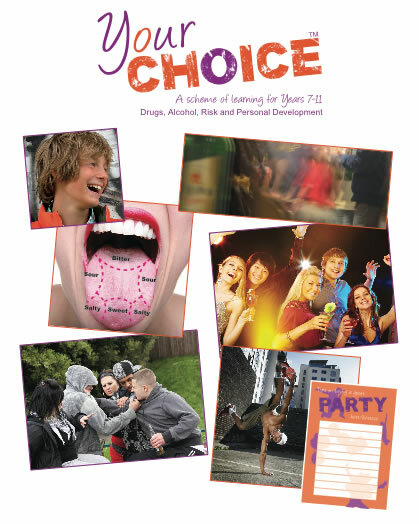 EDAS have worked in partnership with Jan Lever Education Consultancy Services to create such a resource; ‘Your Choice’. The resource contains 6 lesson plans, complete with master copy handouts and PowerPoint presentations for each lesson for each year group (7-11). The idea would be to deliver the resource over half a term and this resource is now available for your school to purchase.